The gloom is deepening for Chinese stocks. 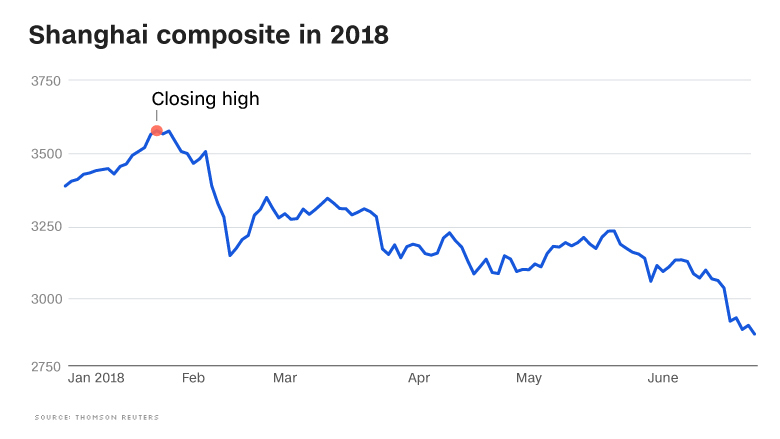 The benchmark Shanghai Composite slid into bear market territory on Tuesday, closing more than 20% below its recent high in January. The index fell 0.5% on the day. Chinese stocks have come under pressure in recent weeks from concerns over an economic slowdown and an emerging trade war with the United States. 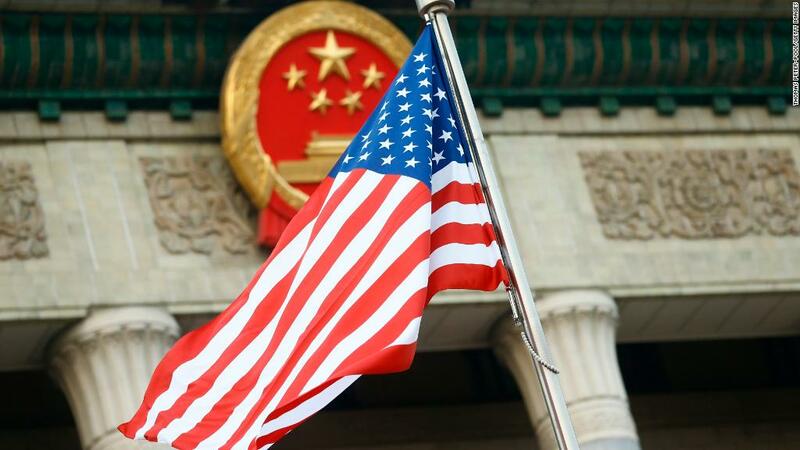 The trade fears have intensified this week following reports the US government is set to announce restrictions on Chinese investment in American companies, potentially escalating the confrontation between the two giant economies, analysts said. "It's a combo effect of concerns about the trade war and China's GDP growth," said Dickie Wong, head of research at Hong Kong-based broker Kingston Securities. Last week, Chinese stocks plunged nearly 4% in a single trading day after President Donald Trump threatened to hit China with further waves of tariffs on its exports. The Shanghai Composite is one of the world's worst performing stock indexes this year, and Wong predicts it has further to fall. The Chinese economy performed strongly last year, growing 6.9%, according to government figures. That momentum continued into the start of this year, but many economists were skeptical it would hold. Signs of a slowdown are starting to appear. Official economic data for May showed that growth in important areas like exports, investments by companies and consumer spending all declined compared with the same month a year ago. Shanghai stocks previously suffered extended declines in 2015 and early 2016, which were also triggered by anxieties over the health of the Chinese economy. China's currency, the yuan, has also been suffering in recent weeks. After spending most of last year strengthening against the dollar, the yuan has fallen almost 2.4% since June 14 as fears of a trade war have risen. A weaker yuan is worsening the rout in stocks, according to Tai Hui, chief market strategist at JPMorgan Asset Management in Asia. It's "raising concerns that companies who have been heavy dollar debt issuers could face challenges" paying back their loans, he said. The dollar had already been gaining ground against the yuan and other currencies as the US Federal Reserve raised interest rates. The People's Bank of China, meanwhile, isn't on the same track. It announced this week that it's cutting the amount of deposits most commercial banks are required to store with it, which could free up more cash for lending and promote new economic activity. Analysts at investment bank Nomura say they expect headwinds -- including the trade clash with the United States -- to further weigh on the Chinese economy in the second half of the year. "We believe the Chinese economy has yet to bottom out, and the situation could worsen before getting better," they wrote in a research note late Sunday.